With the retirement playing field littered with crushed investments and dreams, the safety of guaranteed income streams looks more attractive each day. Some annuities can provide such a guarantee. If you ask an insurance company to define annuities, the marketing phrase the insurer will probably use is: “Annuities can produce an income stream you can’t outlive.” That can be true. Annuity payments can last for as long as you live – or even longer – because the payments are based on your life expectancy. The trouble is annuities are often sold and not bought. Consumers are pushed into ill-fitting products because that’s what the broker is selling that month. It’s important to be an educated consumer when you shop for an annuity, so let’s look at what annuities are, how they work, and whether they make sense for you. 1. What is an annuity? An annuity is a contract between you and an insurance company to cover specific goals, such as principal protection, lifetime income, legacy planning or long-term care costs. Even though they may be marketed as investments, “annuities are not investments,” Haithcock. “They’re contracts.” They lock you and the insurance company into contractual obligations, and breaking them – if that’s even possible – can come at a steep cost. 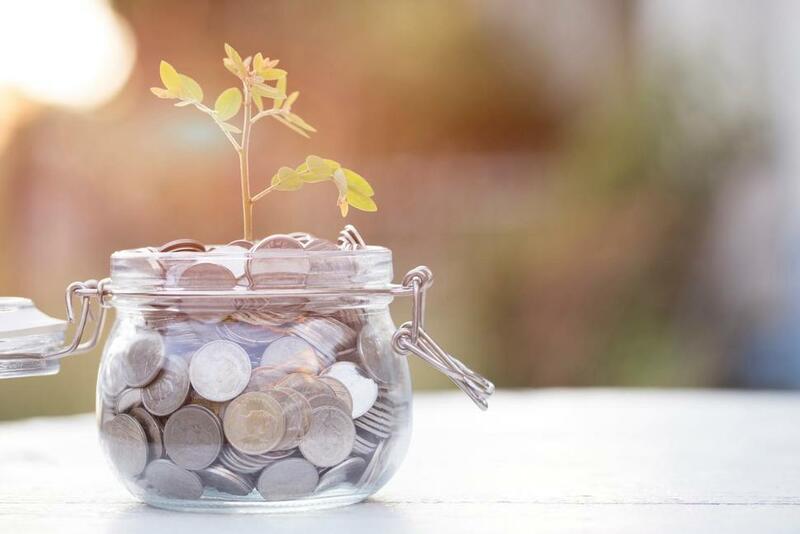 You buy an annuity because it does what no other investment can do: “provide guaranteed income for the rest of your life no matter how long you live,” says Walter Updegrave, editor of RealDealRetirement.com, a site offering retirement planning advice. Beyond these basics, there’s little about annuities that’s simple. Annuities and the rules under which they operate can be complicated, so it might help to recognize that a common source of retirement income – Social Security – is an annuity of sorts. “Annuities work by giving you limited access to your funds annually much like how income is received from Social Security,” Bender says. 2. How does an annuity work? An annuity works by transferring risk from the owner, called the annuitant, to the insurance company. Like other types of insurance, you pay the annuity company premiums to bear this risk. Premiums can be a single lump sum or a series of payments, depending on the type of annuity. The premium-paying period is known as the accumulation phase. Unlike other types of insurance, you don’t pay annuity premiums indefinitely. Eventually, you stop paying the annuity and the annuity starts paying you. When this happens, your contract is said to enter the payout phase. There’s great flexibility in how annuity payments are handled. Annuities can be structured to trigger payments for a fixed number of years to you or your heirs, for your lifetime, until you and your spouse have passed away, or a combination of both lifetime income with a guaranteed “period certain” payout. A “life with period certain annuity” pays you income for life, but if you die during a specified time frame (the period certain years), the annuity will pay your beneficiary the remainder of your payments for the contractual period you chose at the time of application. As with Social Security, annuity lifetime income streams are based on the recipient’s life expectancy, with smaller payments received over longer periods. So the younger you are when you start receiving income, the longer your life expectancy is, or the longer the period certain term is, the smaller your payments will be. Payments can be monthly, quarterly, annual, or even a lump sum. They can start immediately or they can be postponed for years, even decades. 3. An immediate annuity begins paying income (almost) immediately. Although it’s annuitized immediately, an immediate annuity doesn’t start paying income right away. You make a single lump sum payment to the insurance company, and it begins paying you income one annuity period after purchase, which can be 30 days to one year later. The period is based on how often you elect to receive income payments. For instance, if you choose monthly payments, your first immediate annuity payment will come one month after you buy it. Because payments begin so soon, immediate annuities are popular among retirees. 4. Deferred annuities provide tax-advantaged saving and lifetime income. With a deferred annuity, you begin receiving payments years or decades in the future. In the meantime, your premiums grow tax-deferred inside the annuity. They’re often used to supplement individual retirement accounts and employer-sponsored retirement plan contributions because most annuities have no IRS contribution limits. “The only limiting factor would be the amount of premium an insurance company is willing to accept for the same individual,” says Ken Nuss, founder and chief executive officer of AnnuityAdvantage, an online annuity marketplace. This amount ranges from $500,000 to $3 million but is typically capped at $1 million to $2 million, he says. “But if someone wanted to put more than that in, he could split it up among multiple insurance companies,” Nuss says. An exception to annuity contribution limits are qualified longevity contracts (QLACs). These are deferred income annuities designed to help retirees turn retirement assets into a stream of lifetime income. Under IRS rules, you can only convert up to $130,000 or 25 percent of your funding retirement account (whichever is less) to a QLAC in 2018. Money in a QLAC is exempt from required minimum distributions (RMD) until age 85. This makes them useful for individuals approaching RMD age (70½) who don’t need all their distribution now and would like a lifetime income stream. A deferred income annuity (DIA) can also provide a future stream of income but doesn’t have any IRS restrictions. These annuities can be held in retirement and non-retirement accounts and work like an immediate annuity except payments begin 13 months to 40 years in the future. “They pay their holders income for life, however, only after that individual has reached a certain age,” Nuss says. 5. A fixed annuity for principal protection. Fixed annuities pay a guaranteed minimum rate of return and provide a fixed series of payments under conditions determined when you buy the annuity. During the accumulation phase, the insurance company invests the premiums in high-quality, fixed-income investments like bonds. Because your rate of return is guaranteed, the insurance company bears all of the investment risk with fixed annuities. A multi-year guarantee annuity (MYGA) is a type of deferred fixed-rate annuity that’s “great for conservative investors who want guaranteed principal protection,” Nuss says. It works much like a certificate of deposit by guaranteeing a rate over a fixed period. However, unlike CD interest, the interest on a MYGA isn’t taxed annually but rather allowed to grow tax-deferred until withdrawal. 6. Annuities may have early withdrawal penalties. Also like CDs, MYGAs and other deferred annuities have surrender charges if you withdraw your money early. Surrender periods vary from two years to 10 or more, and the corresponding charges typically decline with time. For example, a deferred annuity with a 10-year surrender period would charge 10 percent on money withdrawn the first year, 9 percent the second year, 8 percent the third year and so on. However, “nearly all companies give you access to at least the interest, with many allowing you access after 12 months to either 10 percent of your original premium deposited or 10 percent of your account value,” Bender says. Bear in mind that as with IRAs and 401(k)s, earnings withdrawn before age 59½ may be subject to a 10 percent federal tax penalty. Likewise, annuity income is taxed as ordinary income the year it’s received. “Always consult with your tax professional before making decisions on the tax ramifications of annuities or any retirement vehicle,” Bender says. 7. A variable annuity has investment risk. Not all annuities guarantee a fixed rate of return. With a variable annuity, your premiums are invested in a variety of subaccounts, similar to mutual funds. Each subaccount has an investment objective and charges a management fee in addition to the insurance company’s fees. The annuity’s rate of return is based on the performance of these subaccounts. The insurance company does not guarantee variable annuity rates, so the annuitant bears all of the investment risk. In some ways, a variable annuity is like a 401(k) plan: You choose the subaccounts where your premiums are placed and thus the overall returns on your annuity. Generally, you have the opportunity for higher returns than in a fixed annuity. But markets are volatile, so there is downside risk as well. The upside to a variable annuity is you have a lot of control. Variable annuities were designed to let investors participate in the stock market and still enjoy the tax-deferred, insurance and lifetime income benefits of annuities. But this is not how they should be viewed. “Never buy an annuity for market growth, even though that’s how they’re sold,” Haithcock says. “If you want market growth, you don’t need an annuity.” You’d be better off just holding low cost mutual funds instead of incurring the high fees of variable annuities. 8. Annuity fees vary but all have commissions. Many annuities have no annual fees, but variable annuities are not among them. “Variable annuities often come with [annual] fees in the range of 2½ percent to 3 percent,” Bender says. That isn’t to say other annuities don’t have costs. “All annuities have commissions,” Haithcock says. These are typically built in to the policy so you won’t see the costs taken out each year. Commissions can range from 1 percent to 10 percent, depending on the type of annuity. The simpler the annuity, the lower the commission, he says. Likewise, the longer the surrender period and more complex the annuity, the higher the commission. Ask your agent or representative what the commission is before buying. “If he says it’s built in [so] you’re really not paying any commission, he’s lying,” Haithcock says. The commission is there, even if you don’t see it. “The only consumer protection is to write down exactly how you interpret the sales pitch, and have the agent sign and date it,” Haithcock says. 9. Indexed annuities are not the best of both worlds. Another expensive annuity product trying to masquerade as an investment vehicle is the fixed indexed annuity, formerly known as the equity indexed annuity. These annuities claim to blend the secured returns of fixed annuities with the potential stock market upside of variable annuities. Indexed annuities have a minimum guaranteed rate of return with gains tied to an underlying index like the Standard & Poor’s 500. They’re often marketed as the best of both worlds with the potential for upside but no downside. In reality, they’re complicated products with limited potential and protection. In exchange for downside protection, indexed annuities limit your upside. The method they use for capping your gains can vary. The annuity may set a participation rate that grants you only 80 percent of the index’s gains. It may also deduct a spread or asset fee from your gains. Or it may impose a maximum rate of interest. For instance, if your cap was 7 percent and the index gained 10 percent or even 20 percent you would still receive only 7 percent. And your return depends on how often the insurer applies the index’s gains. If it only applies them once a year and the market peaked before your anniversary date, you’d miss out on those peak gains. There are also different methods for calculating the underlying index’s return. Some indexed annuities ignore dividends, which account for almost half of the total return on the S&P 500 index. In addition to their return restrictions, the minimum guaranteed rate of return on an indexed annuity doesn’t cover all of your premium. Most guarantee only 87.5 percent of your principal plus 1 percent to 3 percent annual interest (the state minimum required guarantee). This means if you invest $100,000, only $87,500 is protected. This principal protection is only good if you hold the annuity through the surrender period. Surrender early and you risk losing money on your investment through steep surrender charges. The average surrender fee on the 10 top-selling indexed annuities in 2017 was 11 percent, according to research by AnnuitySpecs, Beacon Research and Fidelity Life Insurance Co.
“People are generally better served if they separate the two: Take a very simple annuity for what it can do well and a traditional portfolio of stocks and bonds for what it can do,” Updegrave says. 10. Riders provide additional benefits at a cost. You can attach additional benefits or protections to your annuity contract through contract riders. Riders can be used to enhance an annuity’s income, legacy or long-term care provisions. They fall into two categories: living riders, which provide benefits while the annuitant is alive, and death benefit riders, which protect beneficiary benefits. For example, an income rider attached to a deferred annuity enables you to turn on your lifetime income stream whenever you want instead of the age you specified when you signed the contract. “Many people like the idea that income can be turned on when they choose and they can make that choice at a future date,” Nuss says. Income riders often have a guaranteed growth rate during the deferral years, called the roll-up rate. Once you start receiving income, the rate stops growing. Another popular rider is the death benefit rider. With this rider, if you die before the annuity has returned all of your premium payments, the insurance company will pay your estate or beneficiary the difference. All riders come with an additional fee that’s charged for the life of the policy. So even if you turn on your income rider payments and your rate stops growing, you still have to pay the fee. Each additional rider reduces the current income you receive. 11. The insurance company doesn’t keep your premiums if you die early. Many people like riders because they think riders keep more money out of the insurance company’s hands. It’s a common argument against single-life annuities, which pay income only for the annuitant’s life, that if you die early, the insurance company keeps your money, but this isn’t the case. The insurance company pools your money with that of other customers. “Deposits made by those who die earlier than expected contribute to the gains of the overall ‘pool’ of an insurance company’s annuity holders, thereby providing a higher yield or credit to those purchasers who receive income payments for longer than their life expectancies,” Nuss says. And while the insurance company doesn’t know when you’re going to die, it has a pretty good idea about the mortality profile of that larger pool of customers. This allows companies “to essentially hedge the risk of an annuity income recipient living longer, and to provide a return – and a guarantee – that would be nearly impossible to match with any other type of financial or income-producing product,” Nuss says. Whether you live long or not, annuities are about guaranteed protection. We buy homeowners insurance the same way, and we don’t regret buying a policy just because our house never burned down, Updegrave says. 12. Guarantees are only as secure as the insurance company making them. But “guarantees are never absolute,” Updegrave says. It’s the insurance company (not the federal government), that guarantees annuity payments. So when you buy a retirement annuity, consider the financial strength of the insurer. Stick to insurers that are highly-rated by A.M. Best, Moody’s, Fitch and Standard & Poor’s. You can use the Comdex ranking to view a composite of all of the agencies’ ratings scored on a scale from 1 to 100, with 100 the highest possible ranking. States have guaranty associations that cover an insurer’s annuity obligation to a state-determined coverage level limit. While coverage levels vary, most states cover at least $250,000 in present value of annuity benefits, according to the National Organization of Life and Health Insurance Guaranty Association, which lists the limit for each state. To reduce risk, spread your annuity funds among different insurers and keep the amount you have with any one insurer below your state’s coverage limits, Updegrave says. 13. Reduce risk by annuitizing gradually. Another risk to annuities is opportunity cost. Once you lock in an annuity rate, there’s the risk that market interest rates will rise and you’ll miss out. Since annuity rates are partly based on 10-year Treasury rates, some people try to time their annuity purchase with interest rates. “If you try to time an immediate annuity purchase with interest rates, then you have to factor in the payments you’re going to miss while you’re waiting,” Haithcock says. Because no one knows when rates will rise, you could be waiting a long time. “The time to buy [an annuity] is when you’re ready to transfer risk,” he says. “It has to do with where you are in life,” not where interest rates are or may go. Another argument against annuities is that you can get better rates in the market. This may be true at times, but remember that the purpose of annuities isn’t to beat the market. Still, one way to mitigate the risk of opportunity cost is by annuitizing gradually. Rather than putting in your full $100,000 as a lump sum, you could start with $50,000 and add the rest later, Updegrave says. This accomplishes two things: It gives you access to more interest rates, and buys you time to get a better feel for how much you actually need in an annuity. “Sometimes it’s hard to tell when you’re retiring how much income you’re going to need and how much of that income you need to be guaranteed,” he says. 14. Not everyone needs an annuity. Annuities aren’t for everyone. If you aren’t worried about running out of income, you may not need an annuity. “Bill Gates doesn’t need an annuity,” Updegrave says. If you have enough money from Social Security and other retirement assets, you may not need an annuity, either. Likewise, “if you know you have health problems that make it unlikely you’ll reach your life expectancy, an annuity wouldn’t make sense” unless you have a spouse you want to provide for, he says. But if you’re healthy and you want the security of a stream of income you can’t outlive, or you want to provide for your spouse or heirs, you may benefit from an annuity. Just don’t put all of your eggs in one basket. You want to have enough non-annuity money accessible to cover unanticipated expenses and some of your living expenses. For most people, this means putting about 25 percent of their retirement assets into an annuity, Updegrave says. If you do decide to buy an annuity, do so through a financial advisor – this isn’t recommended as a do-it-yourself task. Make sure you understand exactly what you’re getting, particularly all of the insurance charges, fees and conditions. “Annuity contractual guarantees should be shopped with all carriers, and you should demand to be shown the top three to five carrier guarantees for your situation,” Haithcock says. 15. You can get out free of charge during the free look period. If you end up in an annuity that isn’t right for you, you can always get out free of charge during the free look period.